Fully-analog pedal offers “three-dimensional” sound. 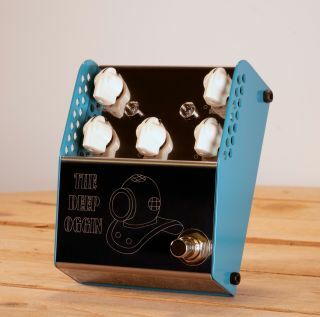 The Deep Oggin sports controls for Depth, Rate, Blend, Volume and Treble, as well as both dry and wet outputs and a laser-cut and laser-etched stainless steel enclosure wrapped in an ocean blue powder coat base. Pre-orders are available now at ThorpyFX.com, with shipping beginning March 1.